In the lead-up to the 19th National Congress this October, Beijing has been undergoing some physical changes. As yet more gleaming architectural marvels are being unveiled, other parts of the city are being cleaned out and 'tidied up', with buildings being knocked down or bricked in. Many have been affected by the roughshod approach, but the resilience of Beijingers is something to be admired. 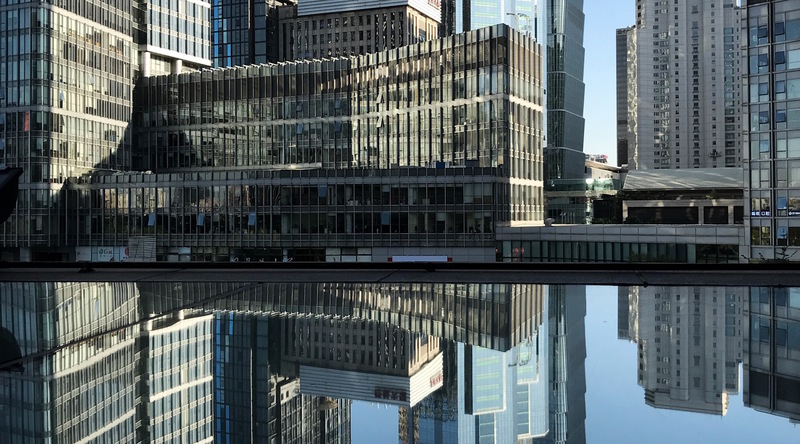 The part of Beijing I usually stay in is between the quiet, peaceful 'hutongs' (or streets of the old neighbourhoods) and the hyper-modern Sanlitun commercial district. The hutongs are winding and narrow, with their one-storey grey brick buildings, old people sitting on stools playing chess, and children out playing or doing their homework. Over decades, the traditional 'siheyuan' or courtyard homes have been subdivided, re-subdivided, extended, and had extra stories added with little regard for the niceties of urban planning. The result is higgledy-piggledy to say the least, but enormously charming to an outsider. This is no place for rushing efficiency – there will always be a part of the road that is being dug up, or people playing badminton, or some other obstacle to speedy transit. It's a jarring contrast with Sanlitun, a buzzing hive of shiny, modern, conspicuous consumption. The buildings are jaw-dropping marvels of modern architecture and even if you don't like that kind of thing, you get the message: this is the future. Those I know among the affected seem to accept their losses with equanimity. The owner of one small shop which has been bricked up continues to sell supplies through the tiny window space left in the wall, eight feet above the ground. Customers buy their water and toilet paper by stretching up to scan a WeChat QR code on their phone to pay. It is an odd situation, to say the least. Western businesses are also being affected by the Beijing clean-up, but apparently for different reasons. Even those in well-established (and even iconic) locations that have been operating for many years, employ Chinese staff, are fully registered and pay their taxes are being shut down. One international restaurateur has, inexplicably, had his food licence revoked after operating for more than a decade. Other cafes and restaurants, many of which are institutions that draw Chinese and international tourists, are likely to suffer a similar fate. The result of the efforts to shut down and brick up large parts of Beijing is certainly a tidier city. However, the the lack of transparency, accountability, or any appeals process suggests the Beijing government has taken a rather blunt approach. The primary impulse of decision-makers seems to be to please those above them in the hierarchy by meeting or ideally exceeding neatly quantifiable targets. There appears to be little regard for the wellbeing or livelihoods of the people affected, or the liveability of the city as a whole. While that may be rather depressing, the humour and resilience of the Chinese people is still apparent. As has so often been said, for every measure from the top, there are multiple creative ways to sidestep it. The people of Beijing accept, reshape, and reinvent. They are the embodiment of flexibility and adaptiveness.